Fantastic Bones!!! Solid 4-level split with 3rd level WALK-OUT in sought-after North Glenmore backing WEST onto GREEN SPACE!!! Complete with 3 beds and 2 baths, this home needs TLC and it would be ready for a family. Or, it could be the ideal property for a rental, holding, renovation or even new home build. 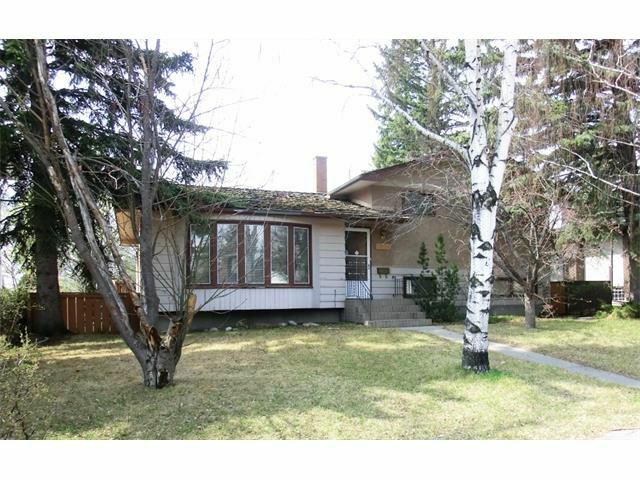 HUGE lot (with 60 foot frontage) and super sunny because it backs onto level green space and has mature trees and shrubs for added privacy. Steps to schools and minutes from shopping, Glenmore Park, transportation and the Earl Grey Golf Course. Tons of potential here and absolutely GREAT value!! !